Ever since David Murray's arrival on the seventies New York loft scene, he has been hailed as the heir to Albert Ayler, John Coltrane, and Ben Webster. He has also been assailed for lacking imagination, proper technique, and authenticity. Perhaps this wide range of opinion reflects the fact that Murray has spoken with many voices over the last 25 years. He's played in every imaginable ensemble size, performing the full spectrum of music from notated arrangements to free improvisation. He's done tributes from Albert Ayler to Jerry Garcia, and explored rock, urban music, and gospel styles. If Murray has been anything, he has been prolific. His latest group, the Power Quartet, is actually not a new organization. Although he has recorded with John Hicks, Ray Drummond, and Andrew Cyrille in several previous configurations, this particular quartet made two recordings (now out-of-print) in 1993 for Bob Thiele's Red Baron label. His sidemen have worked all angles of the jazz scene from inside to out. Murray boldly asserts the primacy of his music when he states in the liner notes that "a good concept would be not to have a concept—just write songs and play them." True to his word, the Power Quartet plays mostly originals on Like A Kiss. They kick off the session with "Blues For Felix," tearing through the composition as if to say, "Dig this groove. We're here for a good time—please enjoy!" Murray states themes and then runs through his trademark slurry/slapping style of improvisation, backed by a fired-up rhythm section. Andrew Cyrille rolls out the beat on the tango title track, suggesting the sensuality of a South America dance sequence. Murray's versatility here extends to ballads ("Dedication"), funk ("Suki Suki Now"), and soul jazz ("Ruben's Theme Song"). His critics-be-damned approach makes for crowd-pleasing music that asks the question, "What is jazz, if it is not entertainment first?" The album closes with two adventurous tracks, "Mo' Bass" and "Let's Cool One." Drummond and Cyrille signal an open architecture on "Mo' Bass" by trading off each other's energy and encouraging Murray to open his bag of sound for upper-register blowing. The surprisingly unrestrained playing on this tune helps demonstrate just how the free forms of jazz fit within the timeline of this creative music. The closing tune, Thelonious Monk's composition "Let's Cool One," sums up the entire session, with Murray trading his tenor for the distinctive bass clarinet. Like Monk playing a toy piano, Murray's use of the bass clarinet presents a signature sound once unfamiliar to jazz. When you consider the entire history of jazz, individual expression is what makes a lasting mark. 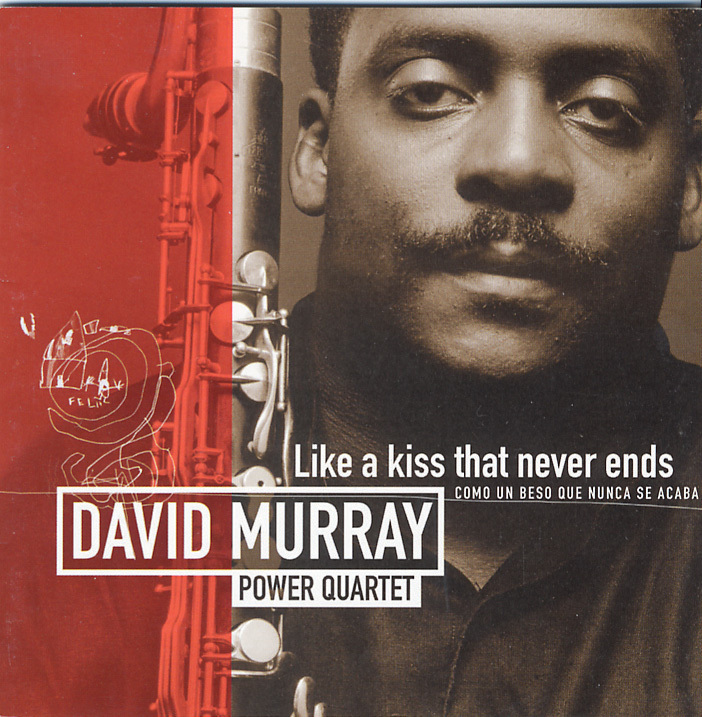 David Murray makes that mark on Like A Kiss.